Regal Exterminators had a very quick response to a situation I needed resolved as soon as possible. Very professional, efficient and reasonably priced. I highly recommend them. Yes, great guys (Dave & Chris) — excellent service — and so far, no ants in sight! 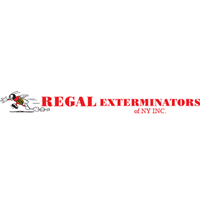 We have been using Regal Exterminators for quite some time - even in our previous facility. They are reliable and conscientiousness. They respond in a timely manner and all documents are always in order. Excellent service provided at a reasonable fee. Technician was extremely knowledgeable and friendly. Would definitely recommend and use again! Regal Exterminators did a great job! They were quick to get in here and help us out and very thorough and informative. Thank you!